Our doctors believe in a comprehensive approach to prescribing contact lenses that provide optimal comfort, vision and health for our contact lens wearers. We are committed to listening to your visual needs and fitting you into the contact lens that will provide excellent vision that will suit your lifestyle. Contact lenses are a medical device, which is why we prescribe the latest in contact lens materials and brands, those that have been repeatedly chosen by patients for comfort and vision. 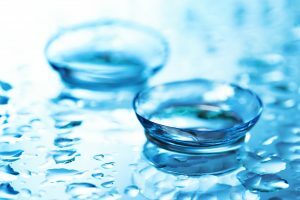 The most recent advances in contact lenses are the new silicone hydrogel lens material which allow for greater oxygen permeability and less discomfort due to dryness, which means a longer wearing time for the average patient. Our doctors recommend daily disposable contact lenses, as they are the healthiest wearing option for most patients. Our doctors are committed fine-tuning your contact lens prescription to match the shape of your eye and correct for astigmatism with the use of toric contact lenses. Our doctors are skilled in fitting multifocal contact lenses for patients over the age of 40 who need a prescription for simultaneously seeing objects at a distance and up close. Multifocal contact lenses blend multiple prescriptions into one contact lens to help patients see objects up close without having to rely on reading glasses.